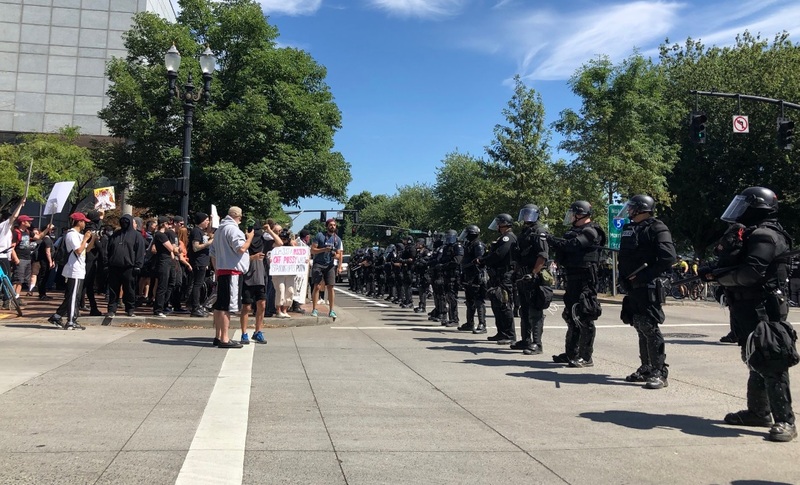 Protestors from Patriot Prayer and Antifa clashed with police in Portland, Oregon after police declared the gathering a civil disturbance. Authorities ordered everyone to leave and had been confiscating anything that could be used as a weapon. ANTI-FA = Nazi SA Brown Shirts.